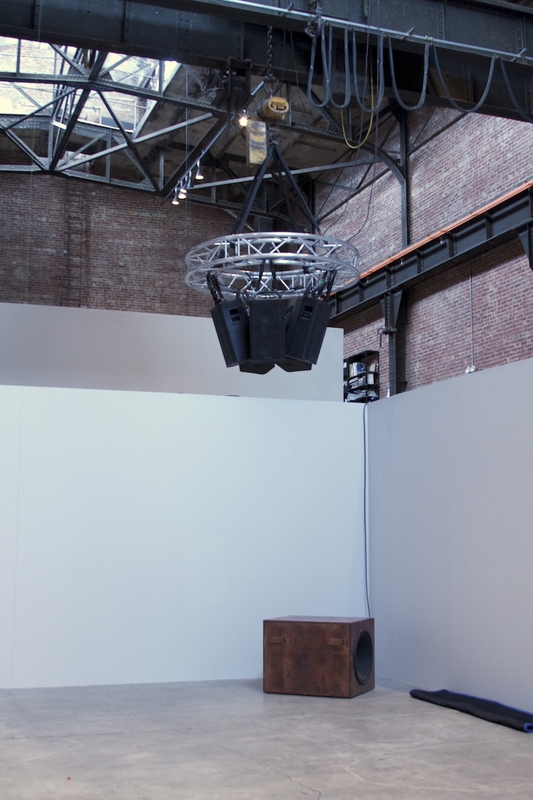 Daniel Neumann’s eight-channel apparatus for sound projection, Untitled Sound Environment (2014), was part of Chance Motives, an interdisciplinary program of time-based works curated by Kari Rittenbach for Sculpture Center's In Practice series. 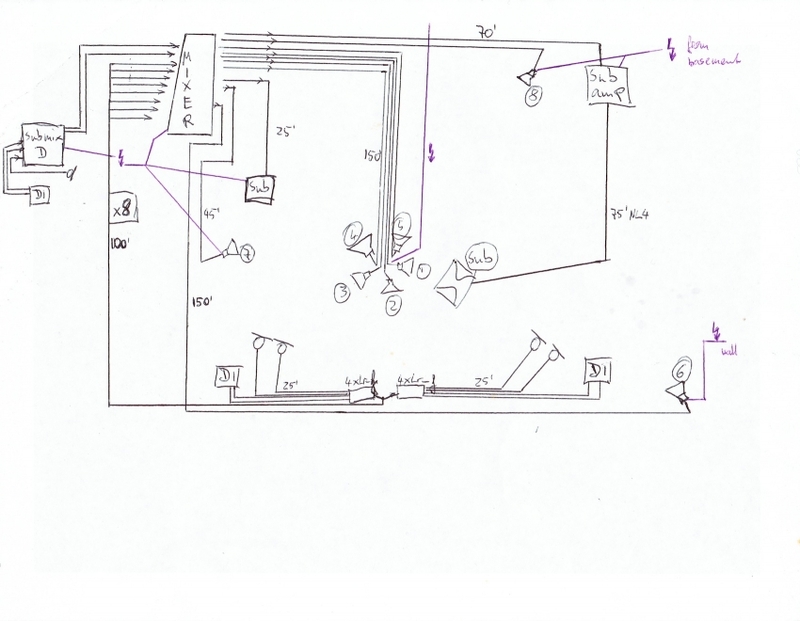 Untitled Sound Environment (2014) is the first part of the ongoing electroacoustic live performance FROM WITHIN A FIELD. 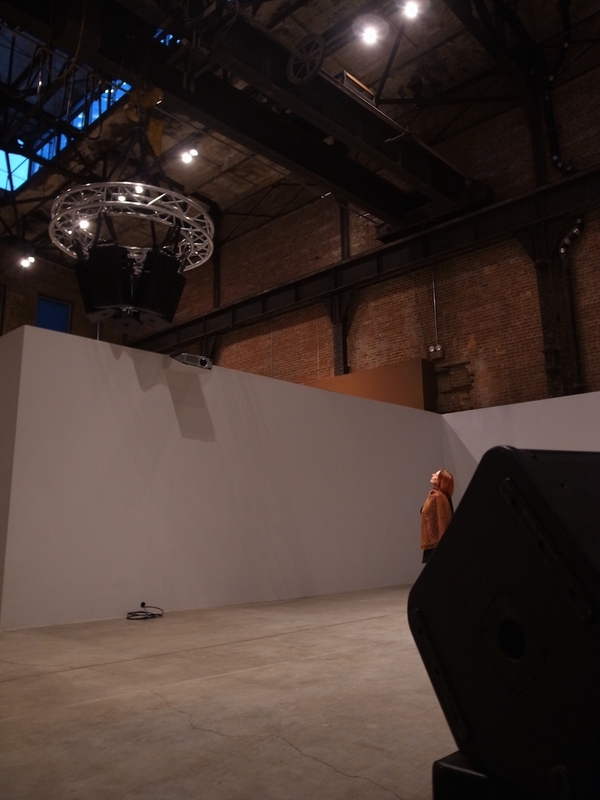 The spatialized sound field itself is being foregrounded in this installation-performance. 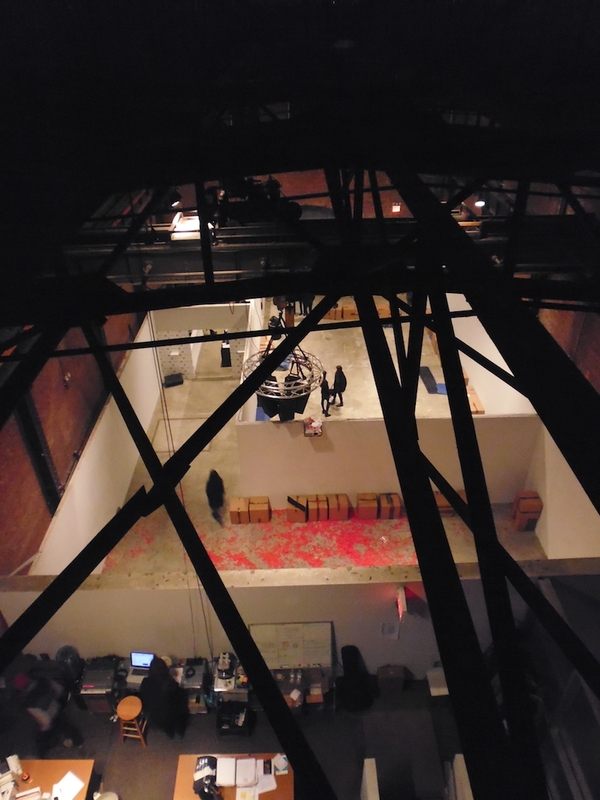 A center cluster of five speakers and three surrounds..
Untitled Sound Environment (2014) establishes an aural architecture that is sensitive to the museum’s post-industrial fabric, as well as the organization of the exhibition at large. Working with electronic sounds to build an expansive collection of tones and sonic textures through spatialized re-recording and decontextualized re-mixing, Neumann’s practice is rooted in the contingencies of a performance site rather than the airtight conceptualisms of the studio. His original compositions forChance Motives use the museum-building-as-studio-space to draw out new sonic variations, even as these energetic flows are redirected and interrupted by the errant motion of bodies through space. His suspended utilitarian system functions as a playback mechanism for the sequential soundscapes of each live performance, and a subtle means of delivery for recorded and re-edited environmental noise that emerges spontaneously in transitional intervals. The complete Gallery Guide of Chance Motives.